The F-16 is considered to be one of the most versatile fighter aircraft in the world and offers an almost unlimited operational spectrum. The F-16C Lot 50/52 originated as "Wild Weasel" to combat enemy air defences. These aircraft are equipped with the AGM-88 HARM missile and an electronic target acquisition system. The Turkish Air Force was also equipped with the F-16C. 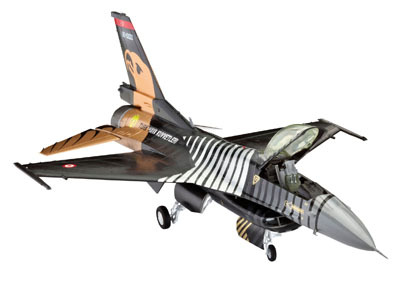 The F-16C Solo Türk is represented in a particularly attractive special livery.